The State of Texas first commemorated a historical site in 1856 by contributing to marking graves at the San Jacinto battleground. In 1858, the Legislature bought an existing Alamo monument, built in 1841 with stones gathered from the battle site. William Nangle and Joseph Cox of San Antonio designed the ten-foot high pyramid on a square pedestal to be portable, and it traveled to Houston, New Orleans and Austin. After the state acquired the monument it was moved to the Capitol, and ultimately destroyed in the 1881 fire that razed that building. In 1909 the Legislature created the Texas State Library and Historical Commission, which collected materials related to Texas history, and marked historic sites and houses and secured their preservation. 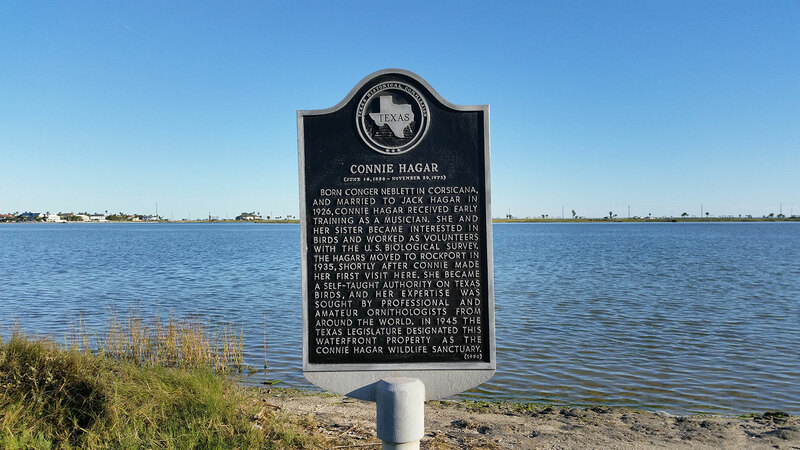 The 1910s were an active time for commemorating history in Texas, and can be considered the beginning of a century of statewide historical markers and monuments. In 1910, the state commissioned three monuments by San Antonio sculptor Pompeo Coppini: Hood’s Brigade at the state capitol in Austin; Come and Take It, or the Texas Heroes Monument, in Gonzales; and the grave of Sam Houston in Huntsville. From 1915-18, the State of Texas and the Daughters of the American Revolution together placed 123 pink granite markers about every five miles along the King’s Highway, also known as Camino Real or Old San Antonio Road, the trail blazed in 1690 by Alonso de Leon. Surveyor V. N. Zively mapped the route through south, central and east Texas. Most of these markers are still intact. In the late 1920s and early 1930s, historian and author Louis W. Kemp found the gravesites of dozens of forgotten prominent individuals of the Texas Revolution and Republic of Texas. Kemp coordinated reinterment of several of these Texas patriots to the Texas State Cemetery, and for them and many in their original graves, the state erected gray or pink granite monuments. Those honored included Kenneth Anderson, Robert Calder, and county namesakes Mathew Caldwell, W. B. Ochiltree and Robert Coleman. Two notable inclusions were Lorenzo de Zavala, a Tejano and first Vice-President of the Republic, and David Kaufman, who served in the Texas and U.S. Congresses as the first Jewish Texan elected to statewide office. De Zavala and Kaufman were the first Hispanic and Jewish individuals to receive official state historical markers. The most ambitious program to mark historic sites across the state came in the middle of the Great Depression. 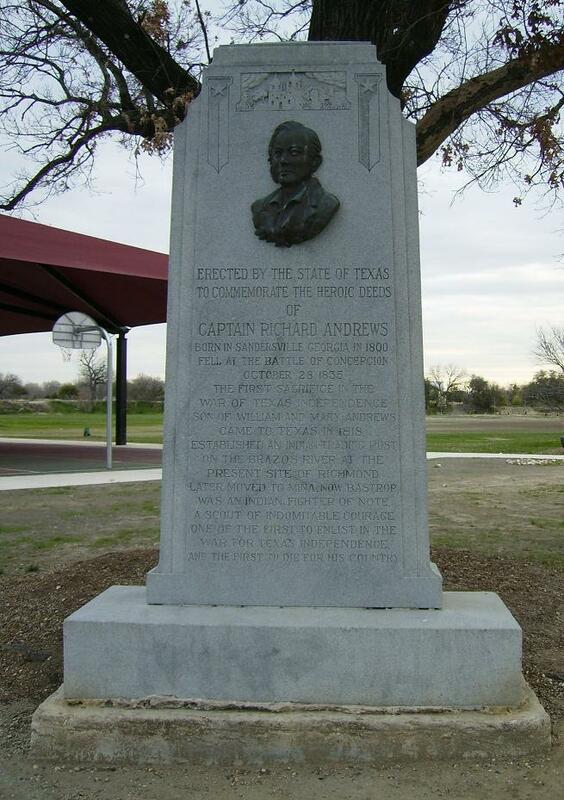 In 1936, the Texas Centennial Commission placed more than 1,100 markers and monuments around the state to commemorate the 100th anniversary of the Texas Revolution and the establishment of the Republic of Texas. 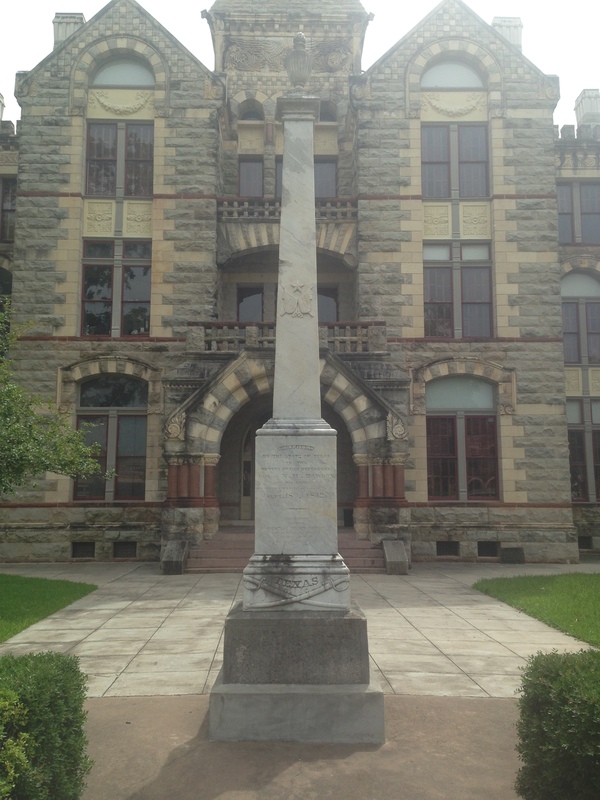 The Texas State Historical Survey Committee (later the THC) was created in 1953, and in the 1950s and 1960s placed pink granite monuments and grave markers across Texas. Many of these commemorated the centennial of the Civil War. 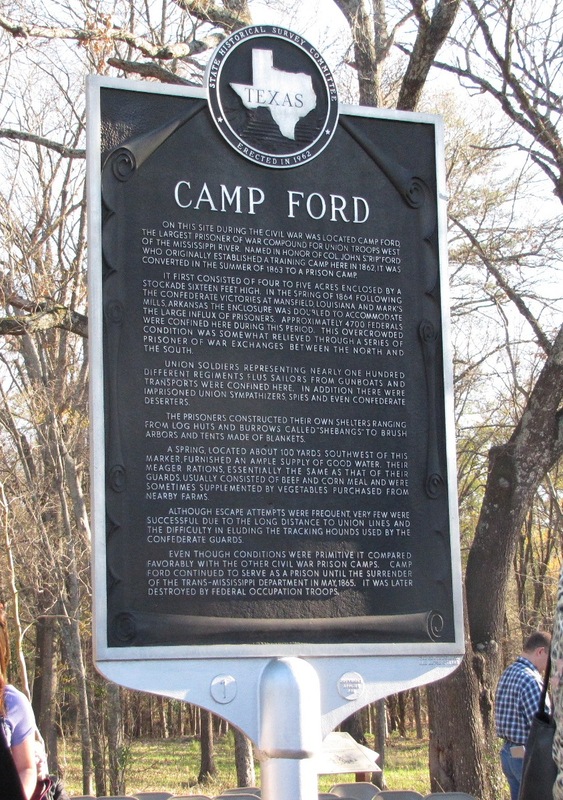 The current Official Texas Historical Marker program dates to 1962, and it has been a popular means for interpreting local and state history and encouraging heritage tourism for more than four decades. There are now more than 16,000 state historical markers in Texas.